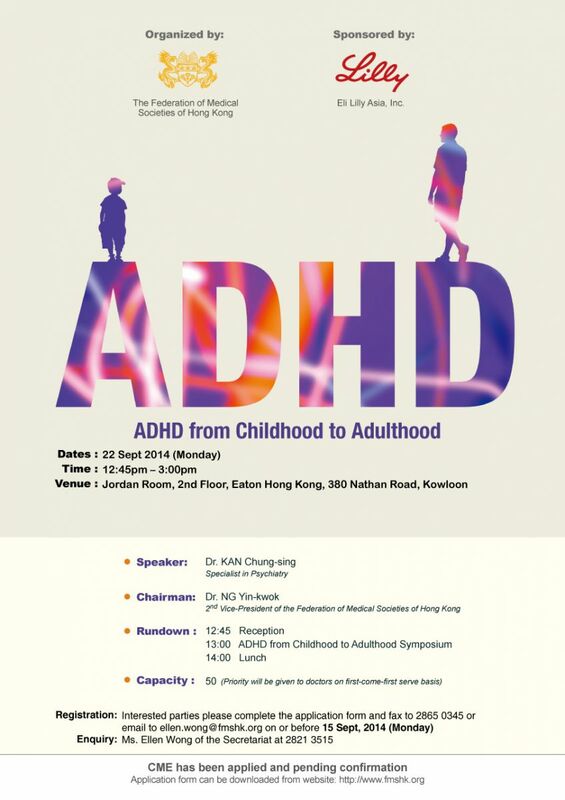 On 22 September 2014, a lunch symposium on Attention Deficit Hyperactivity Disorder (ADHD) was held at the Eaton Hong Kong, Kowloon. The symposium was well attended by doctors, nurses, paediatricians and allied health professionals. 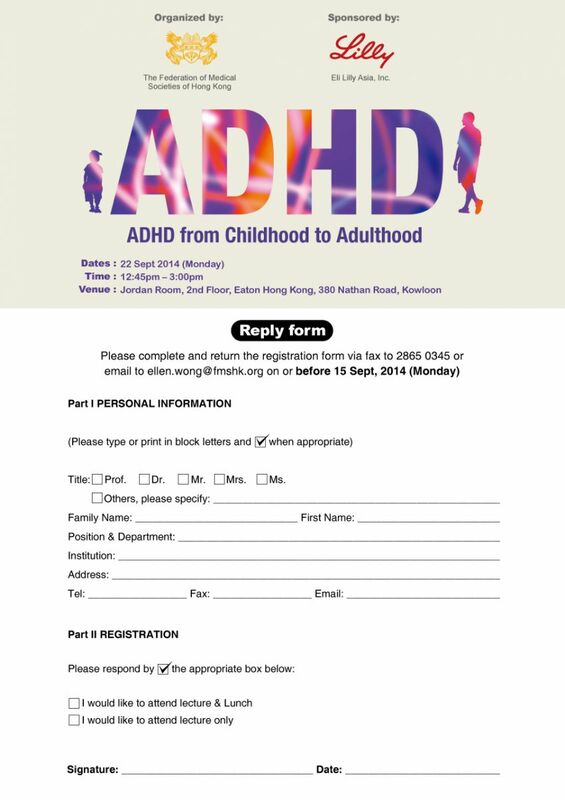 The lecture topic was “ADHD from Childhood to Adulthood”. The Federation wasprivilegedto haveDr Chung-sing KAN, Specialist in Psychiatry, as our speaker;with Dr Yin-kwok NG, 2nd Vice-President of the Federation of Medical Societies of Hong Kong, as our chairmanfor the symposium.Dr KAN shared the experience on how to handle ADHD patients on their adolescence to adulthood and provided a comprehensive understanding of adult ADHD in the view of the disease across the lifespan. The lecture ended fruitfully with active questioning from participants. The Federation looks forward to organising further educational activities on various topics for our professionals in the near future.